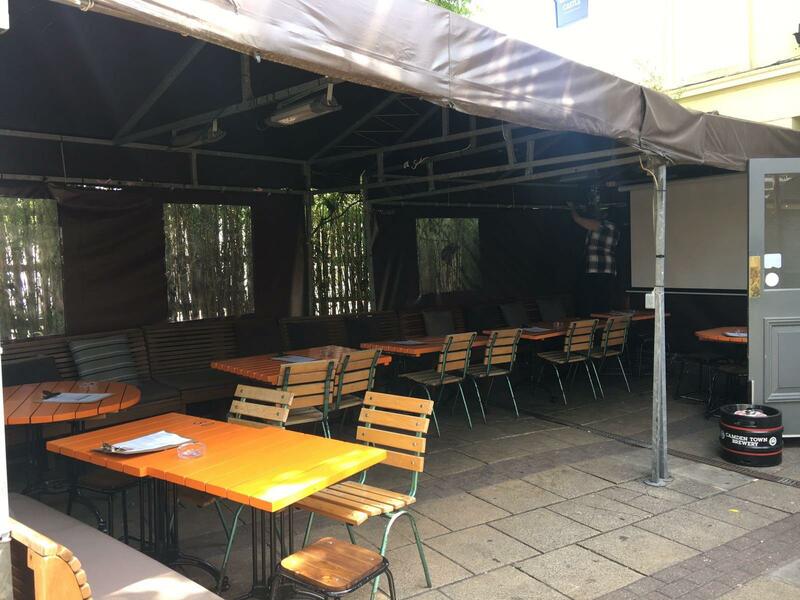 Our Tent is situated in the Garden of our venue, it is fully covered and heated as well as having a projector screen inside it. Perfect for those summer parties, and under cover if we get any wet English weather! It can hold 70pax standing or 35pax seated. 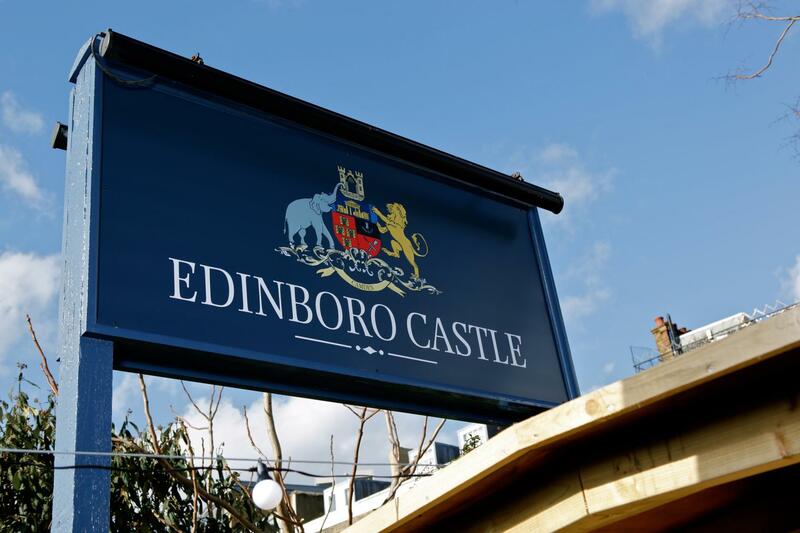 Tucked between Camden's vibrant markets and leafy Regent's Park, The Edinboro' Castle is a pub with generous proportions. And we're not just talking about the warm welcome. 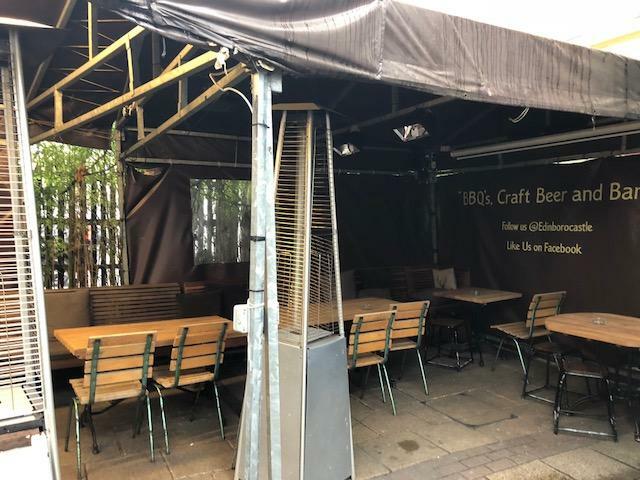 From our broad range of speciality beers to our enormous beer garden, you'll soon discover that we don't do anything by halves. 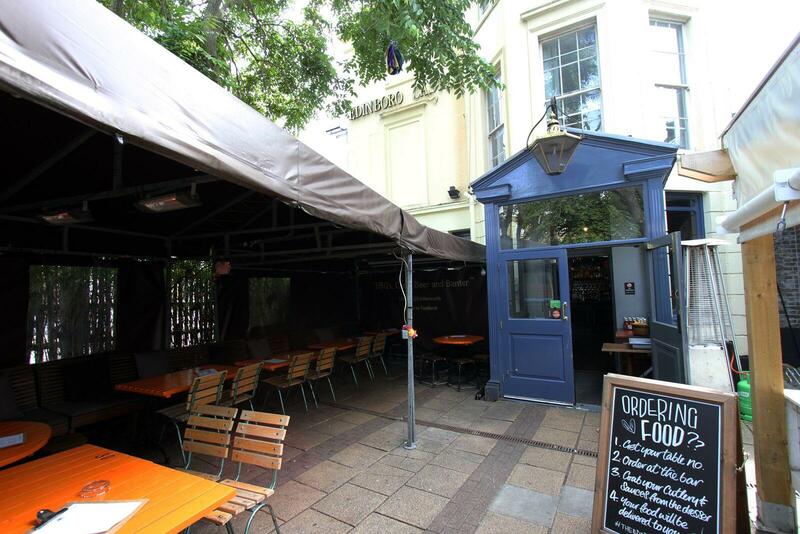 As the days get warm and evenings suitably balmy, the beer garden at The Edinboro Castle is the place where the sun-worshippers of Camden flock. 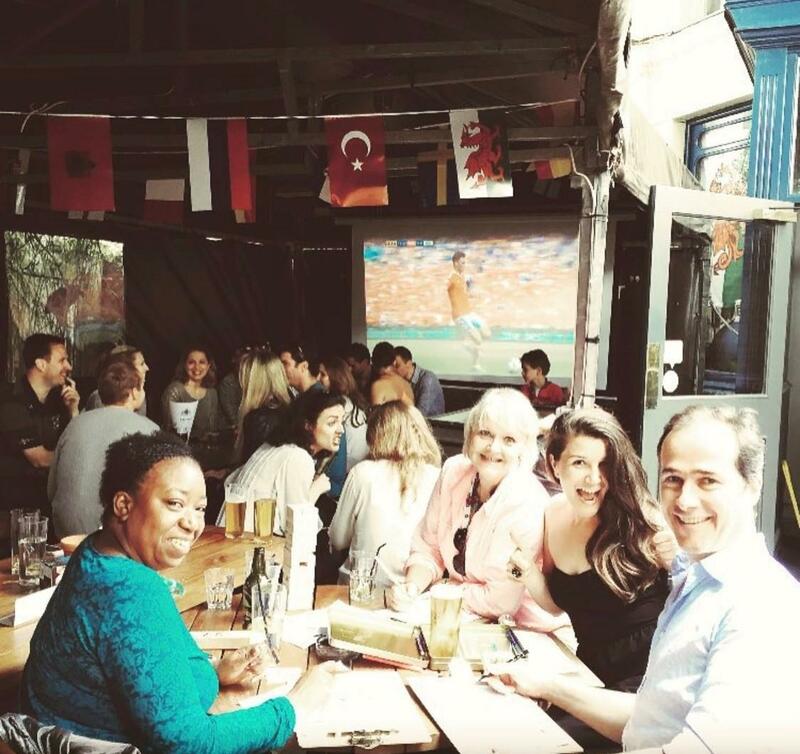 With space for your closest friends, a barbecue and plenty of tables and chairs to enjoy a refreshing alfresco pint from our outdoor bar, what more could you ask for?